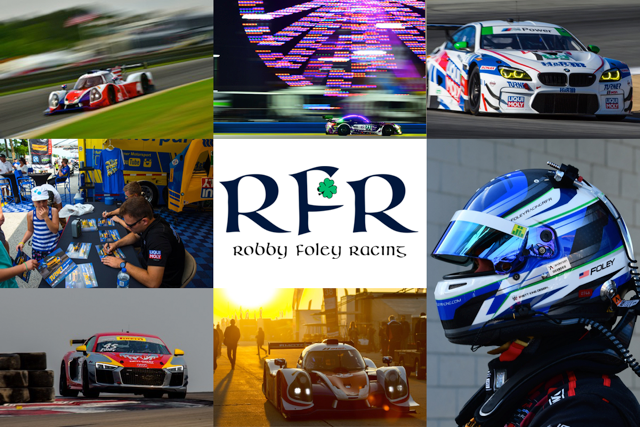 December 20, 2018 – As the calendar moves into the twelfth month of the year, SportsCar driver Robby Foley reflects on a season of highs and lows. Competing in three major series including the Pirelli World Challenge, IMSA Prototype Challenge and the IMSA WeatherTech SportsCar Championship, the 22-year-old was blessed with the opportunity to not only get behind the wheel, but to compete at the highest level of SportsCar competition in the United States. Way back in January, Foley was presented a pair of opportunities. Joining P1 Motorsports for the IMSA Prototype Challenge season, the New Jersey native was also part of the iconic Rolex 24 Hours of Daytona in a GTD effort with Mercedes and drivers such as JC Perez, Kenton Koch and Loris Spinelli. Throughout the LMP3 season Foley was teamed with Jim Garrett. On the strength of multiple podiums and valiant efforts, Foley and Garrett garnered enough points to just miss out on the overall series title chase and secure third in the IMSA Prototype Challenge Masters Championship. With his success behind the wheel in multiple categories, Robby Foley was presented with more driving opportunities as the 2018 season progressed. 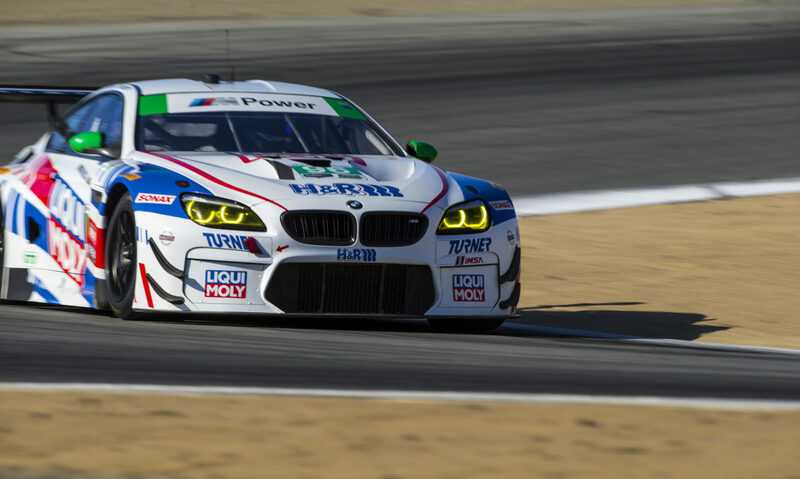 In May, Foley joined Turner Motorsport in their BMW M6 GT3 car for a test at Watkins Glen. With the test going well, Foley was invited to join legendary driver Bill Auberlen in some sprint style races. While luck was not on their side, the race pace was there as they showed speed to compete for race wins and podium results through the remainder of the 2018 season. Moving onwards through the year, Foley joined Flying Lizard Motorsports for a one off event to fill in for a driver that was forced to miss a race due to prior obligations. With the year now over, more than fifty flights behind him and countless stays in hotels, Robby Foley has shifted his focus to the 2019 racing season. Announced just last week that he will rejoin Turner Motorsports in a full season effort, Foley will see competition in the IMSA WeatherTech SportsCar Championship GTD division as well as a part-time effort in the GS ranks. Stay tuned for even more announcements from Foley as he looks to put the finishing touches on a few additional programs for the 2019 season. 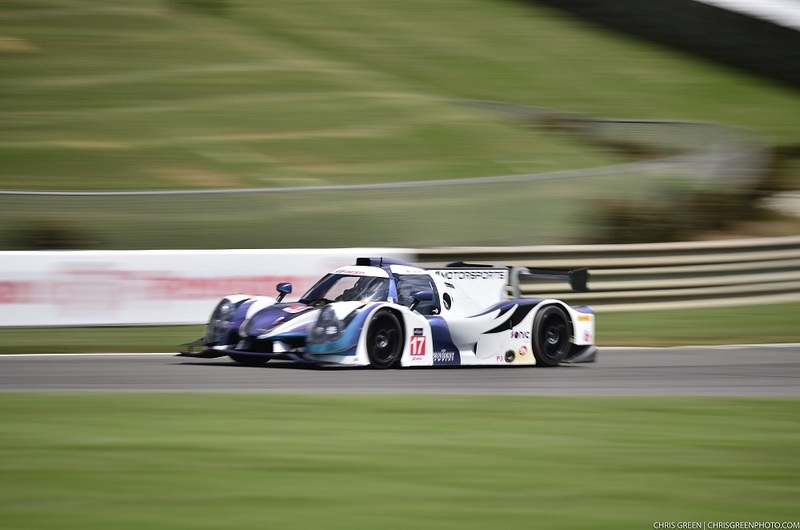 Following a successful test, 20-year-old Robby Foley will make his debut in IMSA Prototype Challenge presented by Mazda with P1 Motorsports, at the famous Watkins Glen International June 29-July 2nd. Foley a resident of Randolph, NJ, and Mechanical Engineering student at Auburn University, will drive the #17 Ligier JSP3 at the famous NY circuit. Robby Foley will return to action in the Battery Tender MX-5 Cup Presented by BF Goodrich tires for the opening rounds of the championship at Barber Motorsports Park. The 20-year-old from Randolph, NJ is also a student at Auburn University, making this weekend a secondary home race for the Mechanical Engineering student. Robby was a Mazda Scholarship driver in 2016, and racking up three wins he managed a fourth place finish in the Championship. So far, this season Foley has been racing in the Continental Tire Sports Car Challenge Championship with Freedom Autosport, but is excited to get back to a familiar race format. Robby will be representing Birmingham based National Bank of Commerce, do-it-yourself storage facility Alabama Gearheads, and the innovative new driver coaching tool, APEX Pro. Mazda Global MX-5 Cup driver Robby Foley will join Britt Casey, Jr. in the No. 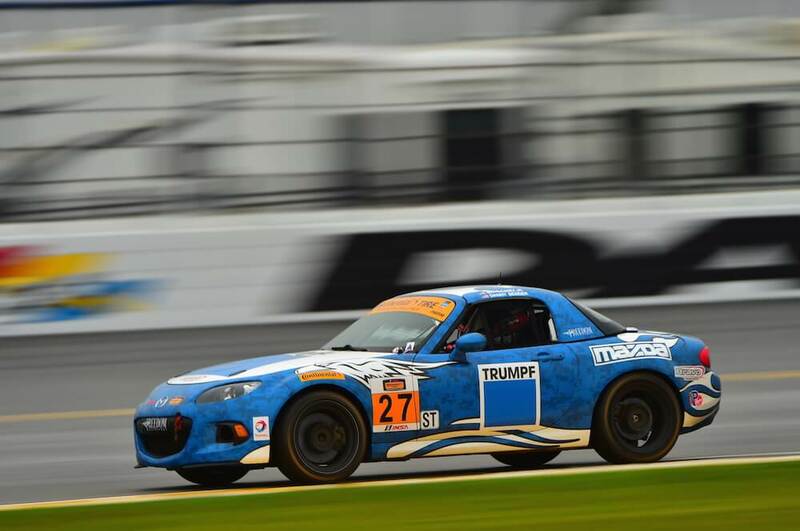 27 Freedom Autosport TRUMPF Mazda MX-5 for Friday’s IMSA Continental Tire SportsCar Challenge season opener at Daytona International Speedway. Foley’s addition rounds out the full Daytona lineup for Freedom, which includes the No. 25 ModSpace Mazda MX-5 of Stevan McAleer and Chad McCumbee and the No. 26 Semper Fi Fund Mazda MX-5 of Andrew Carbonell and Liam Dwyer. Daytona will be Foley’s debut in the Continental Tire Series, but he is already an accomplished Mazda racer. The 20-year-old was a Mazda Scholarship driver in 2016, and his season in the Mazda Global MX-5 Cup Series included three wins. 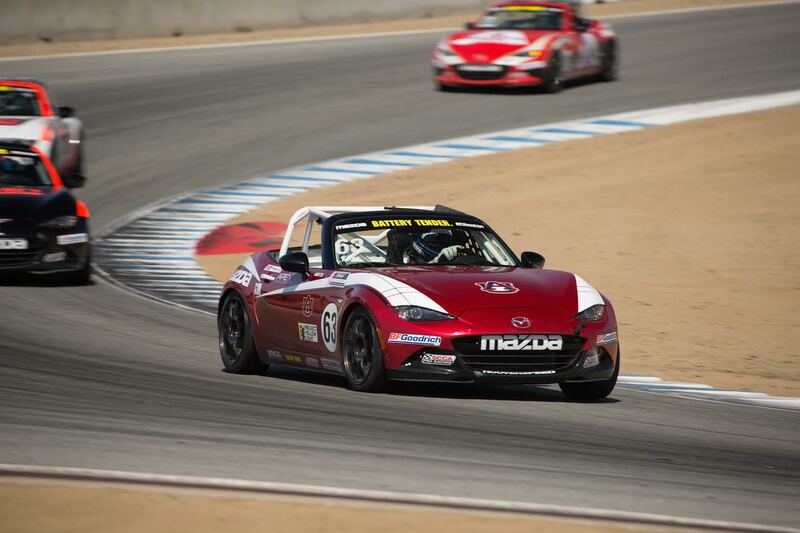 Foley was also a race winner at the inaugural Mazda Global MX-5 Cup Invitational at Mazda Raceway Laguna Seca. Foley hails from Randolph, N.J., and he is currently studying mechanical engineering at Auburn University in Alabama. Foley was a football and baseball player in high school, but a severe leg injury in 2010 that included torn muscles, broken bones and nerve damage turned his goals back to his childhood passion: motorsports. Now, Foley races with the help of an Ossur brace that helps stabilize his ankle. 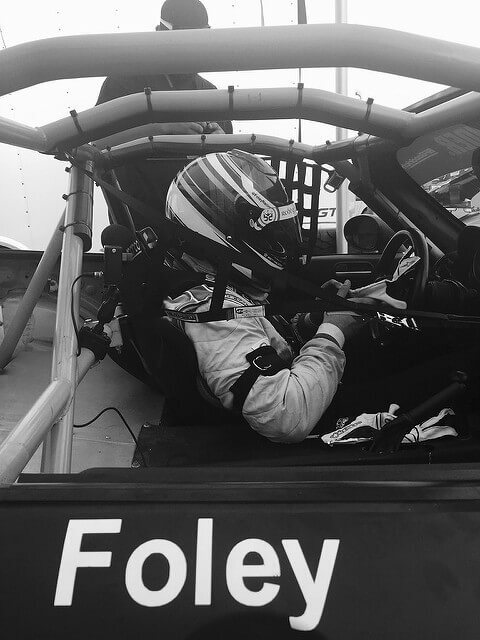 Fans can follow Foley on Twitter and Instagram at @FoleyRacingRFR. Casey, who is beginning his second full season with Freedom Autosport, is on Twitter at @BrittCaseyJr. Freedom Autosport’s 2017 season begins with the four-hour opener at Daytona on Friday, January 27, at 12:15p.m. EST. Since 2008, Freedom Autosport has been a major force in the ST class of the IMSA Continental Tire SportsCar Challenge Series, proving the might of the Mazda MX-5s. Between their inaugural season in 2008 and 2016, Freedom Autosport earned 15 wins. Freedom Autosport is named in honor of the men and women of the U.S. military who defend our freedom, and the team is a proud supporter of the Injured Marine Semper Fi Fund. Keep up with the team on Facebook and Twitter. The Semper Fi Fund provides urgently needed resources and lifetime support for wounded, critically ill and injured members of the U.S. Armed Forces and their families. Case managers from the Semper Fi Fund work one-on-one with service members and veterans in order to understand and support their individual needs right now and throughout their lifetime. We keep our overhead low so our impact on the lives of service members and veterans is greater. The Semper Fi Fund is one of only three veteran charities to receive an “A+” rating from The American Institute of Philanthropy and a four-star rating from Charity Navigator. For more information visit www.semperfifund.org. TRUMPF Inc. is a wholly-owned subsidiary of the TRUMPF Group. Dedicated to serving the manufacturing needs of the American, Canadian and Mexican markets, TRUMPF is currently the largest manufacturer of fabricating equipment and industrial lasers in North America. We offer our customers innovative, high-quality products and solutions in the areas of sheet metal processing, laser-based production processes and electronic applications. Find TRUMPF online at www.us.trumpf.com and on Twitter as @TRUMPFInc. Modular Space Corporation (ModSpace), based in Berwyn, Pa., is the largest U.S.-owned provider of office trailers, portable storage units and modular buildings for temporary or permanent space needs. Building on 50 years of experience, ModSpace serves a diverse set of customers and markets—including commercial, construction, education, government, healthcare, industrial, energy, disaster relief, franchise and special events—through an extensive branch network across the United States and Canada. For more information, visit www.ModSpace.com or http://Blog.ModSpace.com. There’s no better place to kick off a new era of the Battery Tender Global MX-5 Cup presented by BFGoodrich Tires than the spiritual home of Mazda, Mazda Raceway Laguna Seca. The picturesque track located on the Monterey peninsula would host the first 2 rounds of a 12 race championship. This year brings a lot of change to the series with the debut of the all new 2016 Global MX-5 Cup car, based on the fourth generation MX-5 Miata making it an exciting time for Robby to join the series. In 2016 Robby will be driving for Atlanta Motorsports Group on the strength of his $100,000 Mazda Road to 24 (#MRT24) scholarship. The Battery Tender MX-5 Cup is the signature series for the Mazda Road to 24 (#MRT24), the sports car counterpart to the Mazda Road to Indy (#MRTI). The MX-5 Cup champion earns a $200,000 scholarship to further their racing career. The weekend kicked off Thursday with official practice as there was no promoter test day. It was apparent right away that Robby and the team were meshing well, finishing P3 overall going into Qualifying. Next up was qualifying bright and early Friday morning. This year the qualifying rules changed slightly to allow drafting, something that was previously not allowed. Robby put in a solid solo lap early in the session, but was unable to get a draft leaving him P6 on the grid. He did backup his first lap with a near identical lap putting him P4 for race 2. Race 1 went okay for Robby. After getting a good start Robby made his way into the top 3 where he stayed for most of the race. Eventually after battling in the last 10 min he ended up 4th on track, but following post race tech inspection he was moved to P3. In Race 2 Robby again got a good start making his way up to P3. In the ensuing laps he and a few cars began to battle letting the leaders pull a gap, but once Robby could lose the cars behind he began to inch closer back to the front. A mid race caution stacked the field up and on the restart Robby was able to pass for P2. A few laps later a bobble from the leader gave Robby the lead, but he soon would move back to P2. The top 3 battled for the majority of the remainder of the race. Robby was able to make a move on the outside of turn 2 for the lead that stuck for the remainder of the race giving him the win! Robby would again like to thank Mazda, Battery Tender, BFGoodrich Tires, his parents and all of his supporters for all their help along the way. Rounds 3 and 4 of the Battery Tender Global Mazda MX-5 Cup presented by BFGoodrich Tires will be at Watkins Glen on Saturday, May 14 and Sunday, May 15, 2016. IRVINE, Calif. (April 20, 2016) – Robby Foley didn’t just win a championship in 2015, he joined an elite list of Mazda scholarship winners on the Mazda Road to 24 racing ladder. And, thanks to his on-track success, he earned a $100,000 scholarship to help move his racing career to the next level. 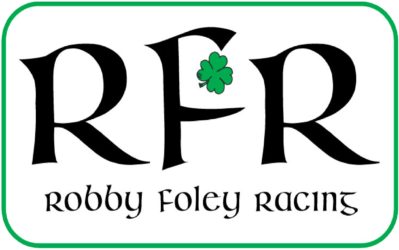 Foley has chosen to take his scholarship money to the Atlanta Motorsports Group racing team, and will compete in the 2016 Battery Tender Global Mazda MX-5 Cup presented by BFGoodrich Tires. Foley, age 19, will make his 2016 season debut on Friday, April 29 at Mazda Raceway Laguna Seca in Monterey, California. When not at the racetrack, Foley is a full-time engineering student at Auburn University. 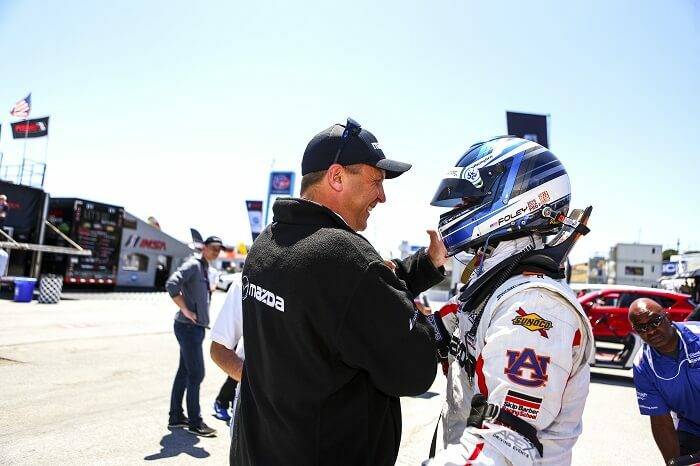 Foley has been working on his motorsports engineering skills at school as a member of the Auburn Formula SAE team. The MX-5 Cup is the signature series for the Mazda Road to 24 (#MRT24), the sports car counterpart to the Mazda Road to Indy (#MRTI). The MX-5 Cup champion earns a $200,000 scholarship to further their racing career. On both paths, Mazda-powered champions earn a Mazda scholarship to advance their career, either toward a goal in the IMSA Mazda Prototype (#MRT24) or the IndyCar Indy Lights (#MRTI) car. 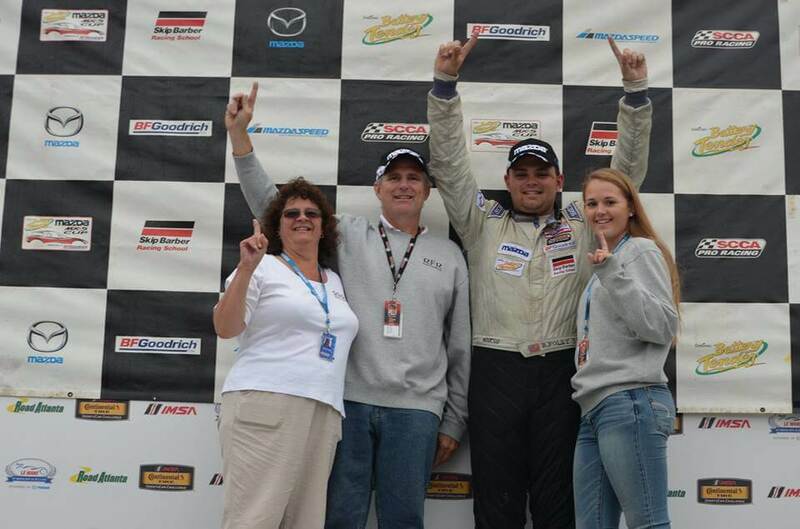 Foley wins the 2015 Battery Tender Mazda MX-5 Cup Skip Barber Mazdaspeed Pro Challenge Championship! After a long and challenging season we are happy to be champions! Robby in his 3rd year in the series proved to be a veteran, and really finished off the year strong. With the championship, Mazda provides Robby with a scholarship and the opportunity to race next year in the newly developed Global MX-5 Cup Car as a Mazda Motorsports Development driver. Robby now joins an elite family of drivers to be backed by Mazda. Robby would like to thank first and foremost his parents for their support of his racing over the years. In addition Robby would like to thank Mazda, Battery Tender, SCCA Pro Racing, the Skip Barber Racing School, BF Goodrich tires, and the other competitors for a great season. 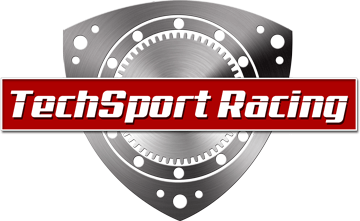 Robby is happy to announce his partnership with team owner Kevin Anderson and TechSport racing for the 2015 season. TechSport Racing is an emerging team in Pirelli World Challenge, fielding two Mazda RX-8’s in the TCA category, with the possibility of adding a third car. 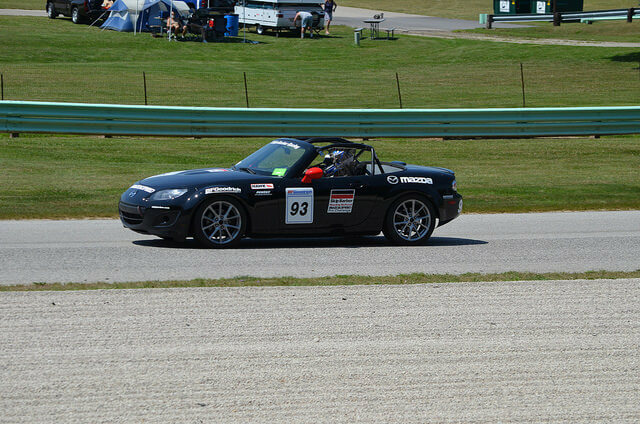 Team owner Kevin Anderson initially began TechSport Racing in 2013 after a long tenure in club racing running Spec Miata. Kevin has had a lifelong passion for racing and is now expanding his efforts full time into Pirelli World Challenge. The two car effort will include Kevin in the 22 car and Robby in the 23 car. “I’m really looking forward to this year,” explained Foley. “I think we have a really good package and it fits well into the TCA formula.” Foley has a wealth of experience in these types of cars on the strength of his last two years in MX-5 Cup as well as several SCCA endurance races in similarly prepared RX-8’s. Foley is signed on as a full time driver and also a consultant to help Kevin develop the team. Robby and TechSport Racing begin their season at Circuit of the America’s March 6th, for the first three rounds of the Pirelli World Challenge TCA championship. 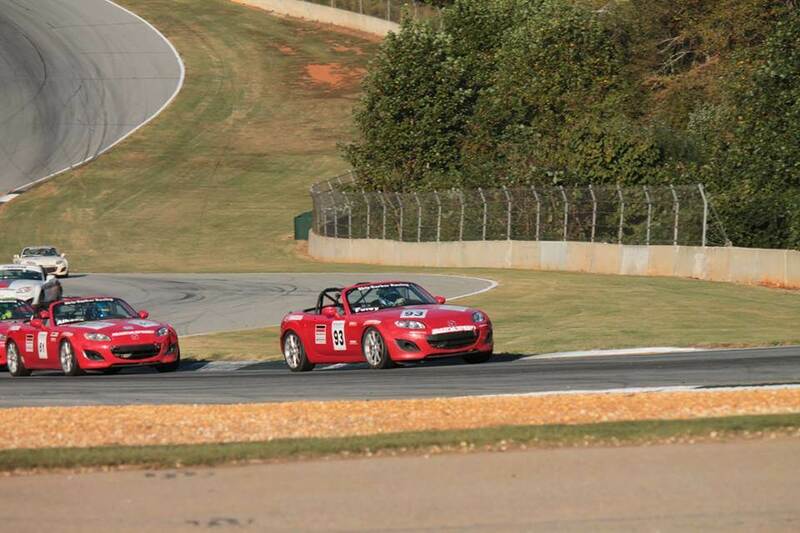 The Mazda MX-5 Cup presented by BF Goodrich would see action for the final time of the 2014 season at Road Atlanta during the infamous Petit Lemans weekend. Robby was very much looking forward to the opportunity to fight for second in the championship in the final rounds at one of his favorite tracks. The race week began with the traditional promoter’s test day where the cars would be shaken down and equalized. Unfortunately the first car Robby was assigned to by Skip Barber was not up to the specifications of the others so Robby was forced to miss the first session and was reassigned to another car. Despite the setback Robby found himself right on pace in the first practice posting the leading time of a 1:41.70 3 tenths clear of the field. In practice 2 Robby again posted a quick time only running limited laps, but sat on his practice 1 time which set him P2 headed into qualifying. Race 2 was set for Friday morning and was a definite rain race making the final round of the championship interesting. Robby would start form third and had a good few opening laps in trying conditions getting himself into the lead. In the ensuing laps Foley would trade the lead on and off with Ben Albano, but eventually the two settled into a pace with Foley leading. The fight continued later in the race as the two would swap positions numerous times. On the last lap Albano held the advantage through turn 7 as Foley was setting up to draft by on the back straight, but as Foley exited turn 7 he dropped a wheel into a rut at the end of the curb, so Robby was unable to fight for the win and had to settle for second. Overall Robby was pleased with the weekend securing pole position and leading the most laps between the two races, but was disappointed he couldn’t come up with a win. “It was a great end to a difficult season,” explained Foley. “Overall it felt like nothing went my way this year but that’s racing and I really look forward to what next year brings. Robby would like to personally thank everyone that made this year possible especially his parents, Mazda, BF Goodrich and Skip Barber for their support. Robby was excited to turn his first laps at Road America, which would be the venue for rounds 9&10 of the season. Robby had been to the track before for the SCCA National Championship Run-offs as a spectator, but he has never competed at the track located north of Milwaukee. The schedule was spread out four days, Thursday through Sunday. Thursday was the test day and Robby was excited to get the weekend going. The first session Robby was purely doing recon to familiarize himself with the track and to bed in brakes. The second session his car was tested by one of the testers, and once that was completed he finished out the session turning competitive times. In the first practice Robby was fast leading most of the session but would eventually end up P3 under the existing track record. In Practice 2 Robby did limited laps as he was confident in the car and his time in practice 1. Combined practice results saw him sitting P3 going into Qualifying. Qualifying was shaping up to be very intense as Road America, considering it’s long straightaways favors the draft, but per MX-5 Cup rules drivers are not allowed to draft during qualifying. Robby went out with the mindset to run quick laps early to use the tires at their peak performance. Robby executed well and was on the pole early and for most of the session until he was bumped to p2 when Drake Kemper set a lap just a tenth of a second quicker than Foley, so Robby would have to settle for p2 in qualifying. Race 2 was just as eventful for different reasons for Robby. He lead the majority of the race, but he noticed a brake problem that as the race progressed was getting much worse. As the laps counted off an apparent noise from the front of the car got worse and worse as the brake pedal got longer and longer. A late caution helped Foley to save his failing brakes, but on the restart it was apparent that it would be difficult to finish. On the last lap Robby had a punctured tire and was able to limp it around to p5. The overarching problem was that the top bolts on both brake calipers were not tightened following a brake change the night before causing the bolts to back out making the calipers free floating inside the wheel. The calipers were laid up against the wheel cutting groves in the wheel which eventually cut enough metal away to shed the valve stem. Robby was extremely upset with this considering the fact that if this had happened in the kink the car would have been for sure totaled. As a result this essentially puts Foley out of the hunt for the championship although it is technically mathematically still possible. “It is extremely frustrating to have something out of your control negatively affect your season, but that’s been the theme of the year starting in Sebring Race 1. I guess I’m lucky considering where everything decided to let go cause there are some seriously hard things to hit here,” stated Foley. Overall Robby was pleased with his driving being his first time to Road America, just frustrated to be robbed of a good finish, but looks forward to giving it his best to fight for the championship at Road Atlanta.